earthling wrote: While I wouldn't be entirely against a downtown stadium, more hotels/residents/offices would be a better use of space. The TSC location is poor though. I'm sure you'd be against it when the inevitable ask for public subsidy is revealed. 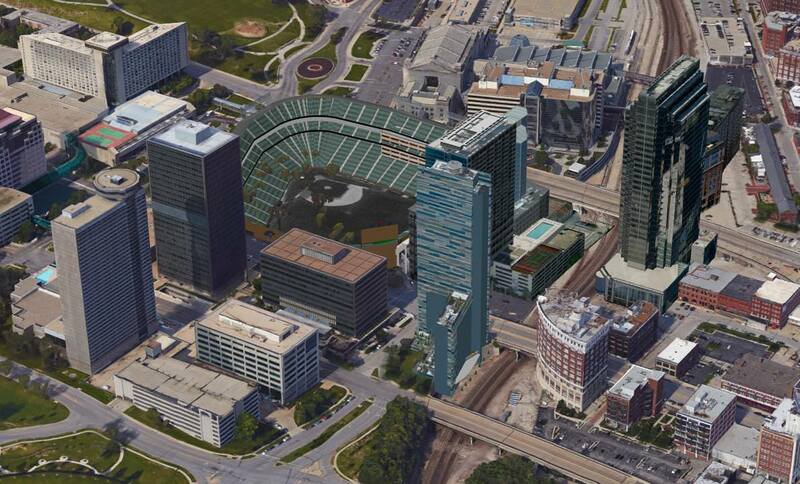 I think the Royals missed their opportunity for a new stadium downtown. And I'm not in love with any of the locations proposed anyway. I'm not sure you could get to 50% these days even if you only asked the urban core. i've always thought that a new stadium should be in the sort of south/southeast corner of the crossroads where there is an offensive amount of almost nothing but parking lots. it would be within walking distance of vastly underutilized, extant parking/parking garages and some transit, including now the new streetcar...and lots of bars/restaurants. 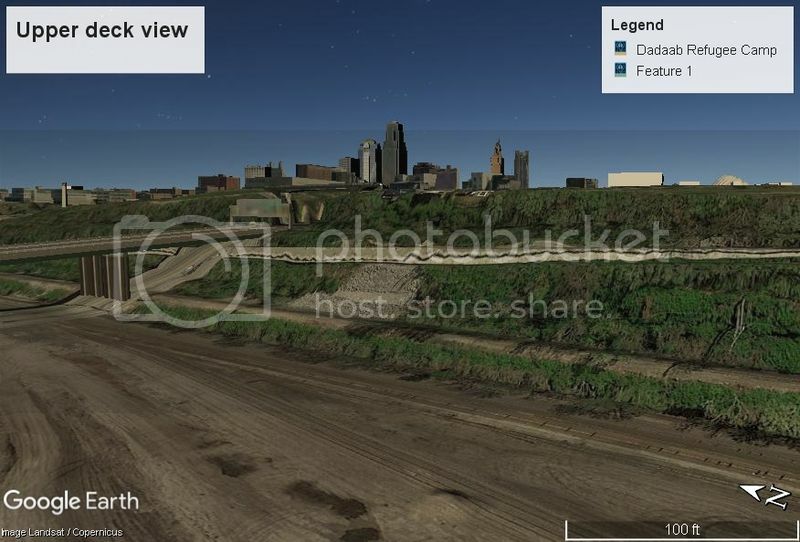 This is exactly where I have always envisioned a downtown stadium in KC being built. 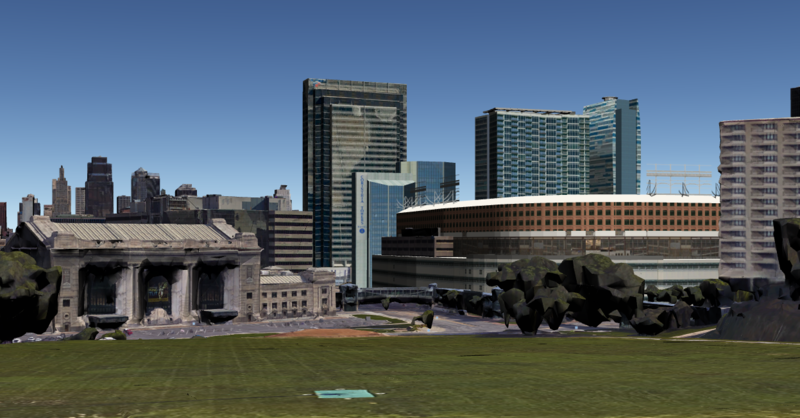 Not sure why there are high rises directly north of the stadium in your rendering cutting off the view of downtown, but, otherwise it's exactly as I've envisioned it since working near Wash Park back in the late 90's/early 2000's. I included the high rises as a way for the park to get revenues from alternative sources. If that is what it takes to get one done, I’d be all for it. You know where there is plenty of room for a stadium? Southeast of 14th and Genessee. Aprox view from mid level behind home plate. This isn't remotely a doable spot. It's on an airport runway approach and the second the FAA has an interest you can expect them to be against it. There's only one practical access point back to the rest of the city and EB on 670 drops to one lane and that's also how to get to 35 NB. Getting back home would take hours for some. It has all the failings of Kemper Arena in terms of what's not around it. You're unlikely to see any real interest in putting a major new city facility into an area that could flood. Yes I like to see a north loop rendering! Had seen one in past but faced wrong way. must be NE of course. and should fit maybe with overhang onto Main for all weather trolley stop. remove flash cube of course. parking under newly covered i-70. 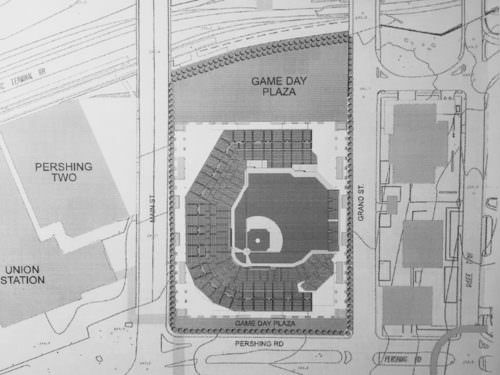 My big worry about building the stadium downtown is how much parking they're going to want, and how much surface parking they'll want. I would have loved a downtown stadium before, but I think that was the chance. We're doing just fine without it. If it does come downtown, I want it to be on our terms, not theirs. Agreed on terms...get it away from Glass(?) first. Parking solved easily in the ULI I-70 transformation. Really the only solution that seems viable for transit, ingress/egress, parking, open spaces, rehab or adjacent areas = prop tax rev, sale tax rev, land sales from newly formed deck over parking. duh. I would trade a stadium for transit system funding. Roll a streetcar line extension into construction, bus line improvements, commuter rail financial support if it's in the right spot. why either or? Denver did all and look where it went. Airport, People Mover then Light Rail, Downtown stadiums - all three. thats a commitment to an vibrant urban lifestyle. Sorry, I meant more in the idea of each gives and gets something. The team gets a stadium with pairing and the city gets transit funding from the team. Eventually need to expand the type of funding sources available.